Does it count as an Ikea Hack if all you do is repurpose something? 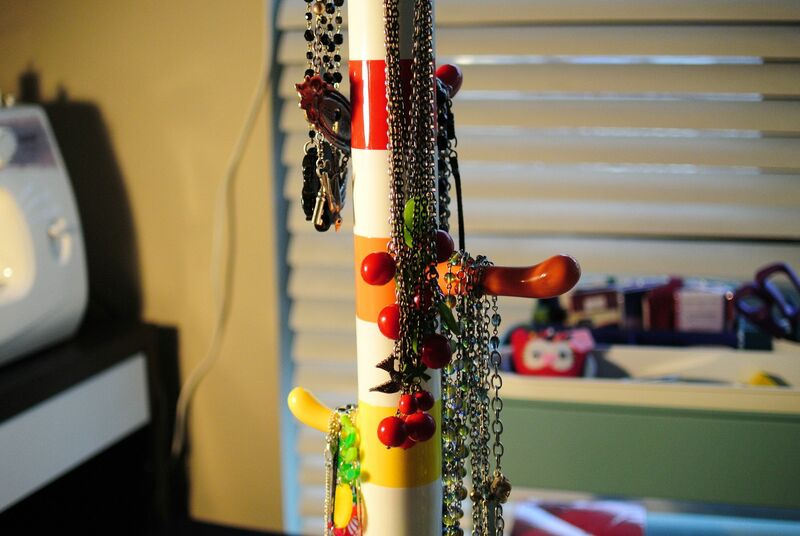 It’s a kid’s clothing rack that I’m using to hang necklaces off of. 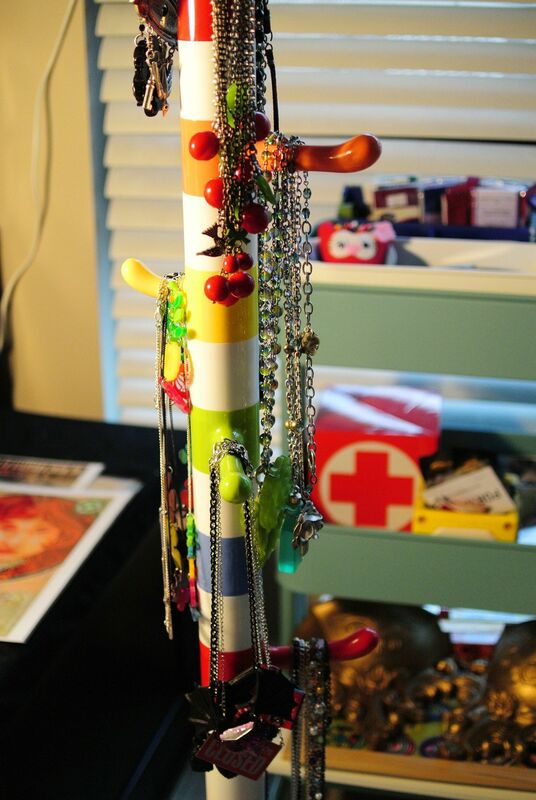 It’s bright and colourful and keeps all my necklaces from tangling while languishing in a drawer somewhere. When I strip after work, it’s easy to hang things up again on one of the eight hooks. 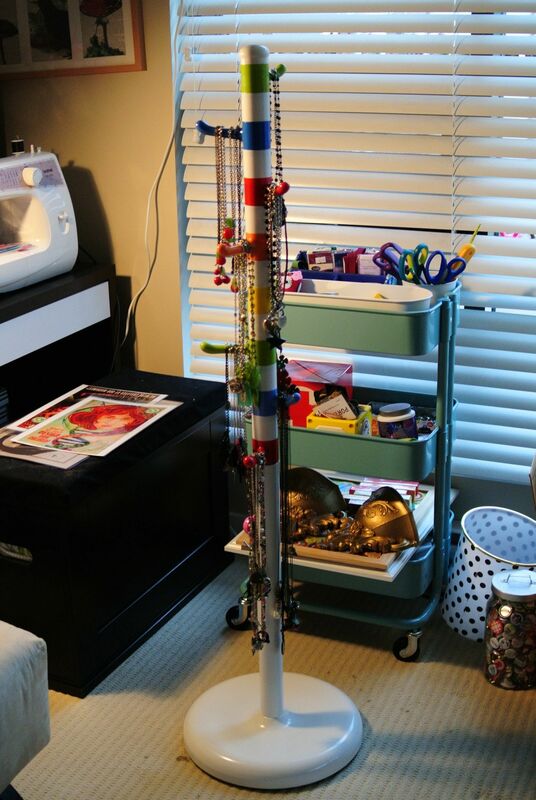 It’s a fun solution, and it would work well for belts or bags or scarves – plus, it’s a comfortable height and helps me build self-confidence by learning to hang up things by myself. Also, at $30 it was way cheaper than the size of a jewellery box I’d need to store all those necklaces properly AND I got to have meatballs. A Saturday well spent! 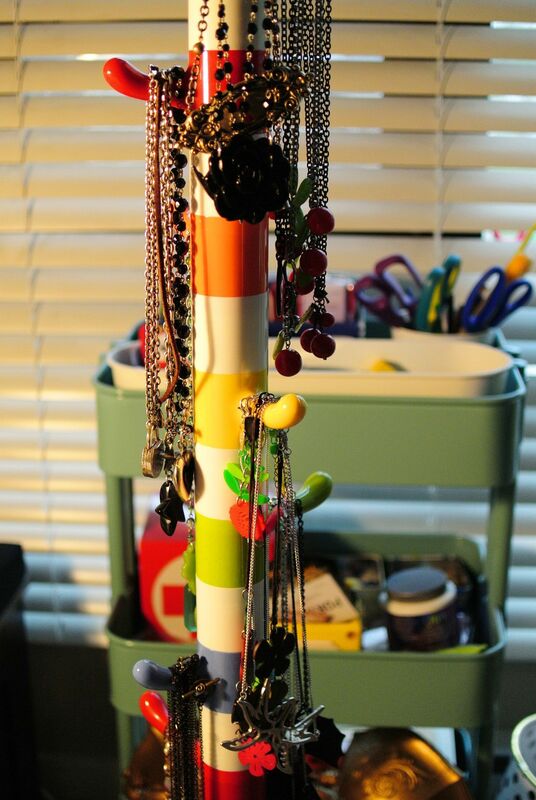 I did something similar, except mine is a wire shower rack hung on my wall for all my many (many many) pairs of earrings. We are so innovative!